In my quest for a decent night’s sleep, I have tried almost every anti-snoring remedy, mouthpiece, and contraption on the market. 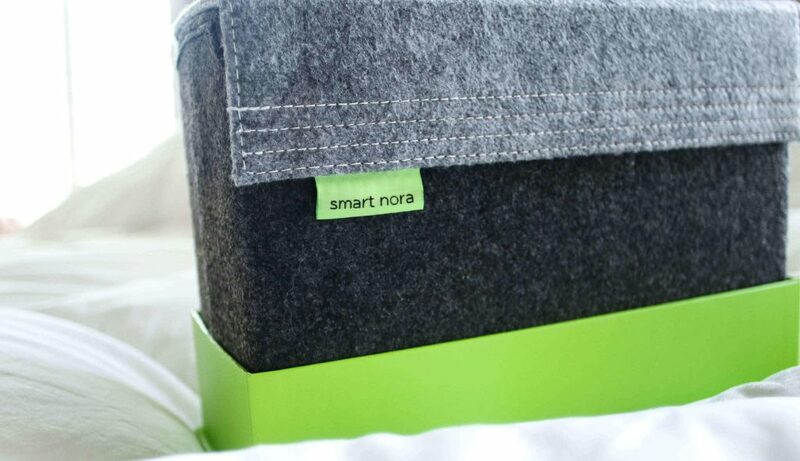 I classify the Smart Nora system as a snoring pillow but it really is a standalone system. Most snoring devices, such as the ZQuiet Mouthguard, work by manually adjusting the position of the head or jaw to alleviate snoring, usually by opening the airways. However, with the advent of modern technology, a new generation of smart, and more sophisticated, anti-snoring devices have been born – but are they any more effective than traditional methods? It was time to find out, so I tried the Smart Nora Device. This clever piece of technology boasts some impressive reviews online and offers a solution that tracks your snoring throughout the night, only coming into effect when your snoring is at its worst. 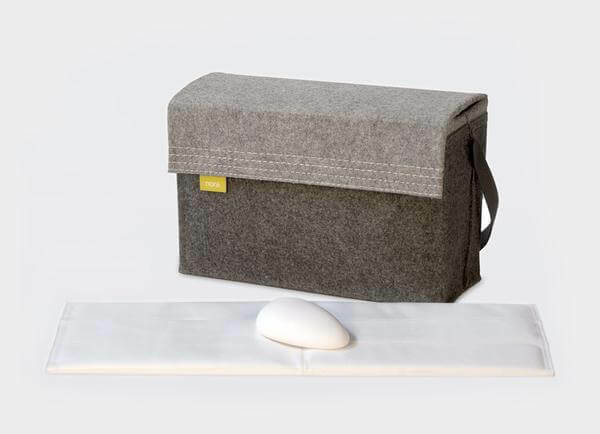 The Smart Nora Device comes in two parts, a Pebble that sits on your bedside table, and a pillow insert that you insert into your pillowcase. The Pebble is fitted with a microphone that monitors your snoring throughout the night, and when it detects sound above a certain volume it sends a signal to the pillow insert via Bluetooth. This causes the insert to inflate, elevating your head a few inches and opening the airways. In theory, this allows for a smoother passage of air, reducing vibrations in the throat and allowing you to sleep soundlessly. The sensitivity of the Pebble can be adjusted depending on how big a problem your snoring is, making this the first anti-snoring device I’ve come across that offers a tailored service. This is unlike anything else I’ve tested out before, so I was keen to give it a try. I ordered my Nora device online, and delivery was swift (good start). I noticed that Nora has a 30-day return policy, which is reassuring. I was worried that this was going to be complicated to set up, and it is. I connected the pillow insert to the Nora base, before plugging the Nora base into the wall and inserting the Pillow insert under my pillow, inside the case. I didn’t see anywhere in the instructions that the Pebble was to be charged for a few hours prior to use, which can be done by plugging it into the Nora Base using the USB cable included. The lights on both the Pebble and main box are a little confusing. The instructions don’t state clearly where to look for these different status lights. After two hours, I unplugged the Pebble, switched it on, adjusted the sensitivity settings (decided to start on ‘high’) and my Smart Nora Device was ready for a test run. There was a Bluetooth button to try and test the pillow inflation, but I had to push that several times before it inflated. Maybe the connection needed to be established first. I tried several other times after that and it didn’t work. The first night was a moderate success, although external factors twice activated the Pebble – once by my wife getting up, and once by the sound of our house heater coming on. I reduced the sensitivity the next night, and that did the trick. It does take a little trial and error to find the optimal settings for this device. I am not a consistent snorer, and find that I am at my loudest only at certain stages of my sleep cycle. The device successfully detected these periods of heavy snoring and inflated the insert, which was quiet and gentle in its action. This did wake me up on occasion, though not every time, and I suspect that this was down to how deeply I was sleeping at the time of activation. On the occasions when I was woken, however, it wasn’t a major disturbance, and I could get back to sleep quickly. Of course, the real test was whether it worked to stop my snoring. The answer (courtesy of my tests using the SnoreLab app) was yes. That few inches of extra elevation do help. The device activated quickly, inflating the pillow insert as soon as my snoring hit higher decibels. I haven’t tested putting the Pebble mounted on my headboard. There is a self-adhesive sticker on the back of the Pebble – and the Smart Nora instructions say to place the Pebble about four inches away. 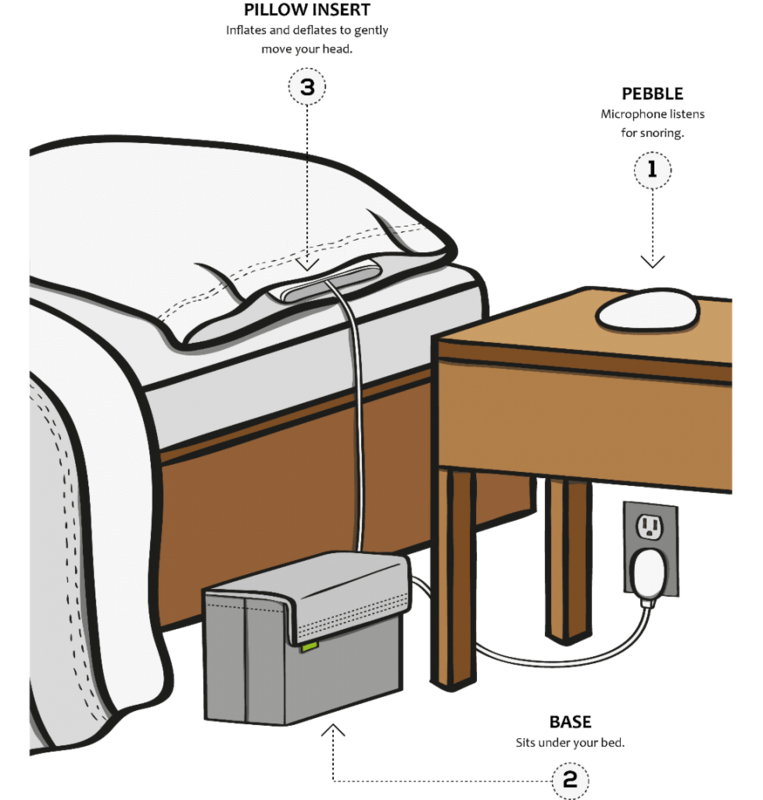 This would help pick up the lighter to moderate snoring and improve accuracy. Effective: The Smart Nora device lessened snoring moderately. The fact that it only activates when it needs to eliminates the frustration of attempting to fall asleep despite the presence of an anti-snoring device, as is often the case with contraptions that manipulate the position of the head or jaw. High Tech: This is a sleek and sophisticated product, and the fact that this is a clever piece of technology is part of the appeal. 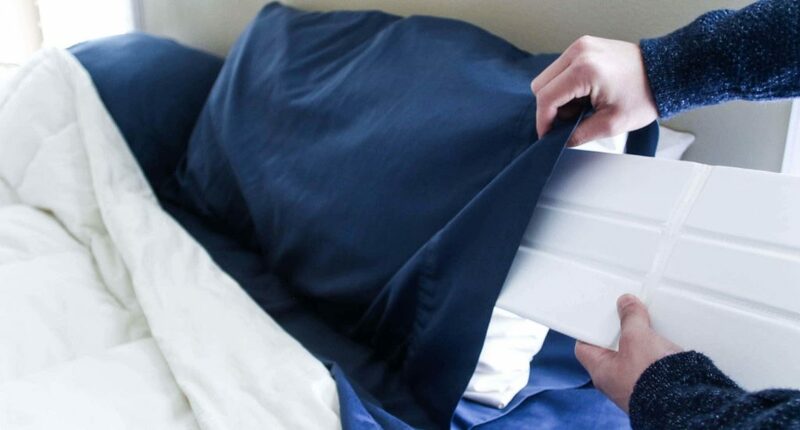 Not Invasive: This is where the Smart Nora Device really has the edge over such anti-snoring competitors as mouthpieces, as you barely know it’s there. It doesn’t disrupt your bedtime routine in any way, and falling asleep is just as easy as if it weren’t there at all. Understanding the Status Lights: It took me a couple of nights to figure out the settings and you might expect to make a few attempts before getting the best performance out of the Nora Device. If you are a light snorer, this probably isn’t the solution for you, as the device is likely to be activated by other noises in the room before it picks up on your snoring. Complicated Setup: Didn’t realize I needed to charge it out of the box. Testing buttons didn’t work. Charging the Pebble: The Pebble needs charging every 5-7 days, which is just a little too frequent for my liking – and can be difficult to remember! Positioning the Pillow insert: The Pillow insert must be positioned precisely underneath the pillow, or it won’t do anything to re-position your head when it inflates. Make sure it’s directly beneath your head when lying down to ensure that it works. Overall, this could be an effective snoring remedy for you, as well as being a pleasingly nifty bit of technology. The best part of the Smart Nora, in my opinion, is the lack of invasiveness. This allows the Nora to be combined with other snoring solutions – such as an anti-snoring mouthpiece. 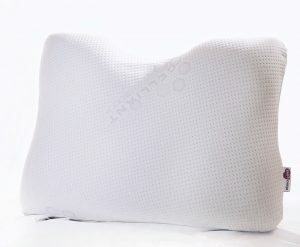 If you haven’t already, be sure to read my entire review of the anti-snoring pillow that is my #1 choice, the Nitetronic goodnite™ pillow. 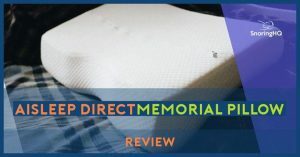 What really sets it apart from its competitors is the lack of intrusiveness of this device, which allows you to doze off undisturbed, and enjoy a sound and restful sleep. Smart Nora can be purchased at their official website. So, I borrowed one from a friend who it didn’t work for and it was after the 30 day return for a full refund and it didn’t work for me either. The concept and idea is great but after doing some actual measurements to see if my snoring increased or decreased during the night, I found that some nights it did improve by 10-15% but most of the time no improvement. I’m posting my comments/review here because even thou I didn’t purchase from any website, but I know that they here are unbiased and will let my review stand as I did try the product out. What I didn’t appreciate is that NORA has control over some other sites and deleted my truthful comments as it wasn’t’ to their liking and this is not how you do busy. So, please don’t waste your time or money on this product and for a company that purposely deletes negative comments. Very Shameful that you as a company would HIDE true comments that relate to your product and people looking for unbiased and accurate reviews of it.